Virginia has a diverse landscape. No matter where you end up, planning a vacation to any of the five regions of Virginia is bound to find fun and relaxation. There's the Tidewater region, which is situated near the coast, breathtaking Blue Ridge Mountains to the west, Piedmont (includes much of the region commonly referred to as Northern Virginia) in the center, the Valley and Ridge section, with the Appalachian region to the southwest. The regions spread north-south and when choosing destinations it is a good idea to map out the areas, towns, attractions or landmarks you want to see and then look to see where they are in relation to one another. Many of the attractions and sights spread throughout the state are in "clusters"; for instance, it is about a 2-hour right from George Washington's home to Thomas Jefferson's, but there are a ton of things to see and do in each individual area. All of these regions make up the different sections of the state, and each one has something special to offer visitors in terms of history, family fun, natural beauty and outdoors -- or to find a quiet place to simply relax. This is the section of Virginia that runs across the Atlantic shore. In this region you'll find popular locations such as Hampton Roads, Virginia Beach, Jamestown Settlement, Yorktown Victory Center, and Colonial Williamsburg. The Tidewater region offers a lot of history where a wealth of information can be learned. There are also many sites to see and experience and if the weather permits, beautiful beaches to enjoy relaxation. In addition to the host of museums located in the Tidewater region, there are a number of family-fun places, such as amusement parks and entertainment venues, to visit as well. 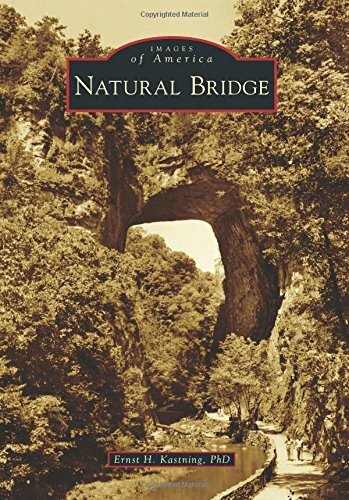 A popular stop is the Natural Bridge, an attraction based around the natural beauty of this landmark. I'd been wanting to see this for years and finally had the opportunity this past summer. In addition, there are plenty of museums, old farms, mills and cabins to visit, some of which date back to earlier centuries. Visitors can learn about early settlement history as they travel through the region. If you're looking for more than scenery or history, this region is also jam-packed other things to do. Recreational activities such as camping, hiking, fishing and swimming can be found throughout the region. Whatever kind of outdoor activity perks your interest, you're bound to find it in the Blue Ridge Mountains. The Piedmont region on the north stretches from Washington, D.C. towards the bottom of the state, including Richmond in between. There is plenty to do in this region. Being so close in proximity to the rivers to the eastern section of the state, the towns in this area were the center of many famous events and housed prominent historical figures. If you're looking for an outdoor kind of trip, the southern counties of this region offer all of the outdoor amenities you could dream of. For the history buffs, Northern Virginia is rich with history tied to prominent residents over the years, including a number of presidents. It also has many ties and remainders to Colonial times, the American Revolution and the Civil War, where many battles took place. I took this photo at Manassas Battlefield, which is located in the northern section of the Piedmont region. 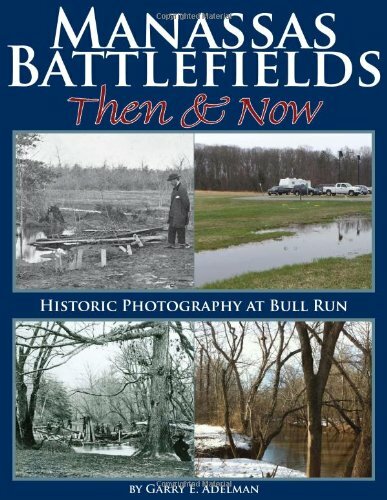 A photo of Henry Hill, located on what is today the Manassas Battlefield Park. his house (a reproduction) was where the first civilian casualty of the American Civil War occurred. The woman's name was Judith Carter Henry, she was 85 at the time of her death. She was bedridden and could not be moved. Thomas Jefferson's Monticello is also located in the Piedmont region, but much further south. This region of Virginia, located at the southwest section is a former coal mining region and many of the activities are geared towards the great outdoors. Visitors can canoe, kayak, camp and fish. In addition, there is the Carter Family Memorial Music Center, the Historic Crab Orchard Museum and Pioneer Park, along with the Pocahontas Exhibition Coal Mine and Museum, Harry W. Meador Coal Museum, and various other parks. I haven't quite gotten down this far yet, but hope to someday. Located west of the Blue Ridge Mountains and east of the Allegheny Mountains, the Valley and Ridge section has many valleys, the largest being the famous Shenandoah Valley. This is another region noted for its beauty. To the south, Roanoke is one of the larger cities to visit, as there are many museums and other tourist attractions set up for visitors. To the north is Winchester, the oldest city in the Valley and Ridge Region. In the stretch between Winchester and Roanoke there is a lot of magnificent country, quaint towns and other interesting places to see. The landscape is breathtaking. While I live in the northern section of the state over towards D.C., and love it, I am particularly fond of the Shenandoah Valley. It is simply stunning. Virginia is a beautiful state and offers a little bit of everything. When planning a vacation to Old Dominion, whether you're looking for history, adventure, relaxation or just sight-seeing, you'll find it all. I'm a transplant here for several years now, but I often still feel like I'm on vacation as there is so much to see and do. This was taken during a trip to Strasburg, Virginia, in 2012. This town is located in the upper Shenandoah Valley. Nice article! This takes me back since I used to live in Fairfax, VA a long time ago. Thank you RKHenry for your kind feedback. I've been here almost 10 years now and have really grown to love this area.